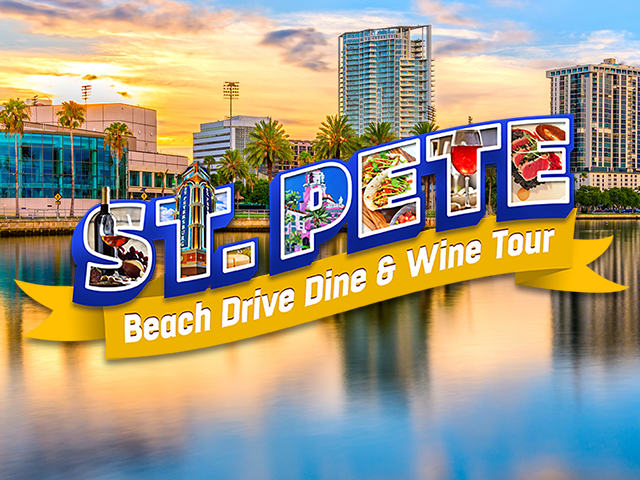 you’ll find beautiful city parks and St. Pete’s fabulous waterfront. We meet at the historic Vinoy Hotel for a welcome St. Pete Distillery cocktail and a tour. Food and wine pairings at The Birchwood, Locale Market, and Flute and Dram showcase great local one of a kind restaurants. Cassis St. Pete is the finale with dessert and coffee.